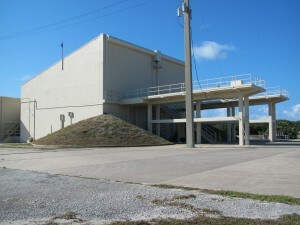 Nestled near the tip of Cape Canaveral lies a very unique launch complex constructed in 1957. At first sight you would not recognize it as a typical launching pad for rockets, instead of launching vertical, the rockets are launched horizontal out of the facility. 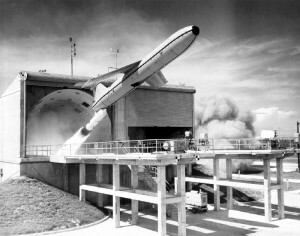 The rockets, or in this case, cruise missiles were attached to launch rails and launched East towards the Atlantic Ocean. 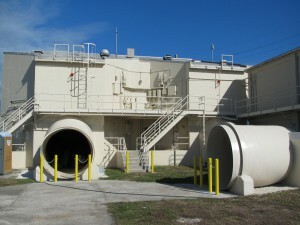 This launch site is known as Complex 21 and 22. 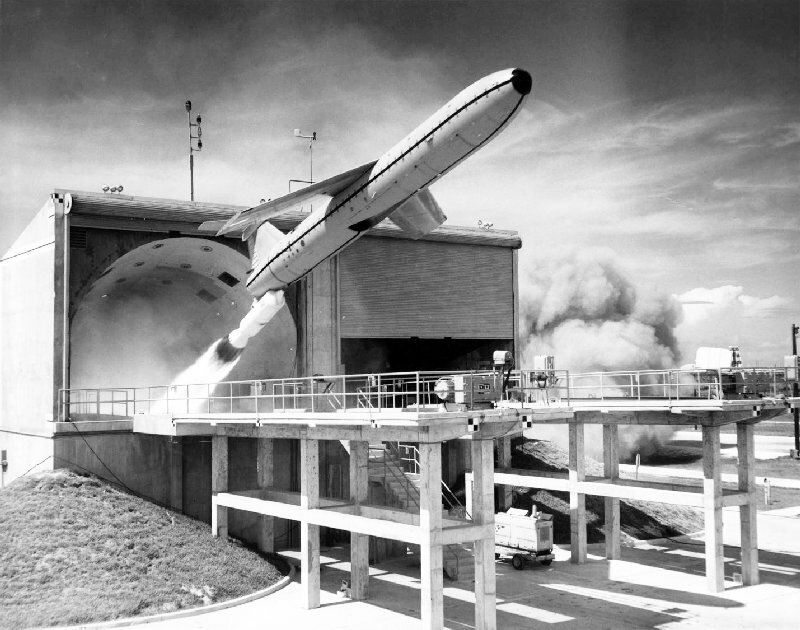 The site was originally built to launch Goose and Bull Goose missiles and in 1959 a total of 20 Bull Goose Missiles were launch, 5 of them dummy launches and 15 live ones. 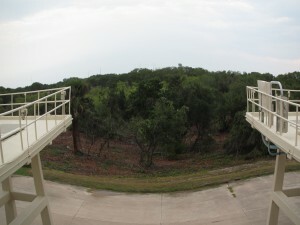 In 1959 and 1960 the launch complex was rebuilt and the facilities included 2 hardened launch pads and a launch control center. In 1960 the first Mace A was launched. 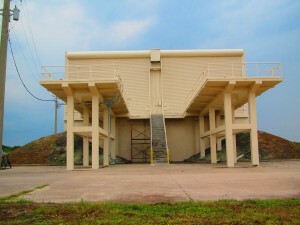 The site was vacated in 1964 but in 1970 the site was reassigned to U.S. Army for use as a Dragon missile range. Two launchers were proposed but the Army dropped the idea and returned the complex to Air Force on 23 July 1971. 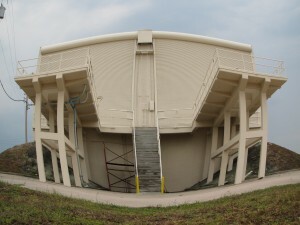 It was deactivated in the early 1970’s. As you approach the launch site today, it’s in very good condition. I recently took a tour of the inside of the launching tubes, the rails are still intact and I can just imagine a Mace missile launching out of the tubes. 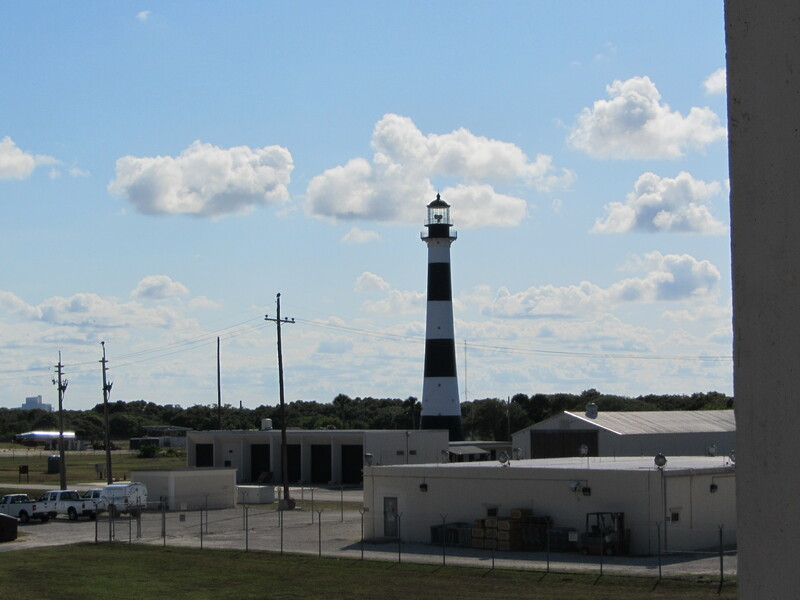 The Cape Canaveral Lighthouse is just a few hundred yards away and while standing up on the launching pedestals you have a great view of the surrounding Cape. This is one of my favorite places to visit and I come out here quite frequently. Pictures from this blog will focus on the exterior and I will follow-up with some interior pictures in the future. A view of the launching ramps from up on the launch complex.